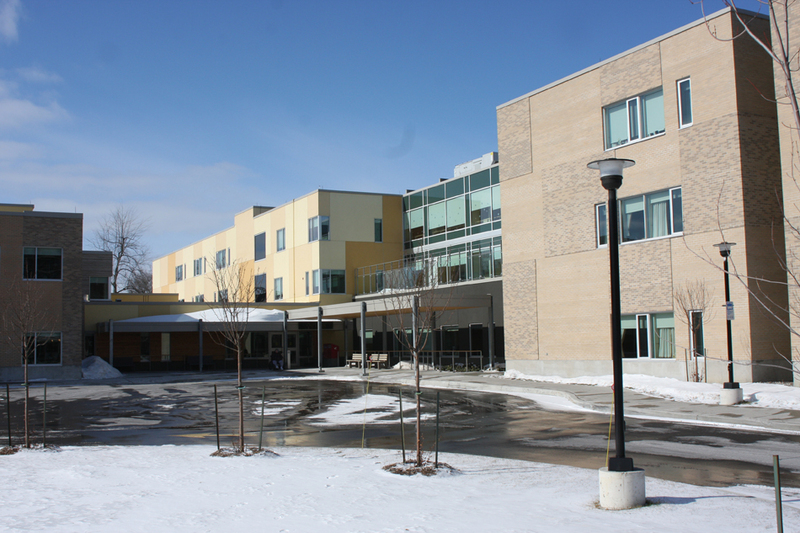 The St. Joseph’s Continuing Care Centre (SJCCC) provides care to 150 Long Term Care Residents, most elderly with increasingly acute health care requirements. The Centre also serves 59 Complex Continuing Care Patients with higher acuity requirements. The 168,000sf building (new construction) is built on the site of the previous facility. Construction was phased to allow for staged use of the full site and to enable new construction and occupancy without disruption to the existing residents. The existing site is a relatively small parcel of land and site planning for the much larger building was challenging. Project Architect, David Carter, worked closely with the Functional Programmer to develop planning and massing strategies concurrent with development of the program and RHA organisation to capitalize on site opportunities and resolve constraints dictated by the existing conditions.The project was funded jointly by both arms of MOHLTC and by private funds raised by the client. 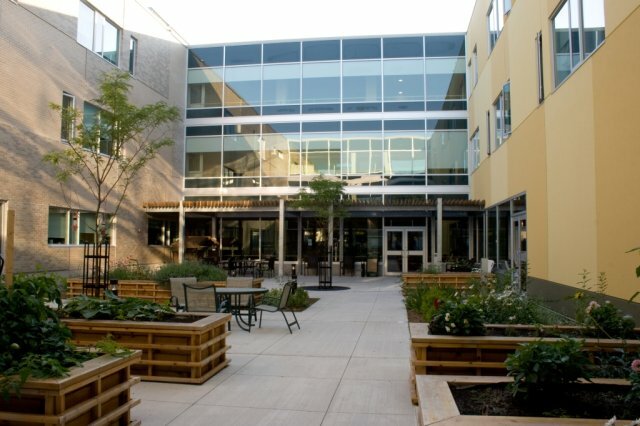 The successful negotiation and resolution of distinct cost, building and programming criteria established by the Acute Care arm of MOHLTC and the Long Term Care component was key to the success of the project.